Can Expert Eye Halt Ballydoyle Juggernaut? Newmarket’s Dubai Future Champions Festival has created a fair amount of the news over the past few days. On October 13 and 14, the juveniles take centre-stage with the Fillies’ Mile and Dewhurst Stakes, whilst the Cesarewitch is one of the season’s handicap highlights. Aidan O’Brien proved dominant 12 months ago, with Rhododendron taking the fillies event and Churchill landing the Group One for the juvenile colts. Over the last three years Ballydoyle have captured five of the six contested Fillies’ and Dewhurst’s. Together Forever and Minding joined Rhododendron on the Fillies roll of honour, whilst Air Force Blue took the 2015 Dewhurst. O’Brien’s War Command also captured the juvenile colts feature in 2013. Gustav Klimt and the impressive Champagne Stakes winner Seahenge, have Expert Eye to contend with if they are to maintain O’Brien’s outstanding record. Though the season’s most exciting juvenile, and main opposition, is still far from certain to line up. Ruled out of the National Stakes due to a dirty scope, the Dewhurst was then named as the likely target for next year’s Guineas favourite. He was simply sensational when winning the Vintage Stakes at Goodwood when last we saw him, and had Seahenge some seven lengths adrift on that occasion. Happily, Magical, September and Clemmie dominate the betting for the Fillies’ Mile, with any of the quintet potentially capable of extending Ballydoyle’s dominance. One that could prove to be the fly in the ointment, is the Karl Burke trained Laurens. She’s by the leading French stallion Siyouni, who’s responsible for several high-class milers including Ervedya, Le Brivido and Volta. She got up late to win the May Hill Stakes at Doncaster last week, and is a lovely big scopey filly. Size is not always an advantage at Newmarket of course, as how she copes with the infamous ‘dip’ before the final climb to the finish will prove vital. Currently a 7/1 shot for the Newmarket event, the betting suggests that she is the only one capable of stopping the Ballydoyle juggernaut. https://www.geegeez.co.uk/wp-content/uploads/2017/09/Expert-Eye.jpg 378 859 Nigel Keeling https://www.geegeez.co.uk/wp-content/uploads/2018/09/geegeez_banner_new_300x100.png Nigel Keeling2017-09-21 07:36:062017-09-21 07:36:06Can Expert Eye Halt Ballydoyle Juggernaut? York’s Ebor Meeting starts on Wednesday, so I thought I’d use today’s piece to fuel anticipation for one of the Flat’s major gatherings. The Great Voltigeur is one of the highlights on day one, and often serves as a pointer to the St Leger. Idaho was an impressive winner 12 months ago for Aidan O’Brien, but met with disaster at Doncaster, when stumbling and unseating Seamie Heffernan having been sent off a short-priced favourite. The horse has shown his class this season with victory in the Hardwicke Stakes and a notable third behind Enable in the King George. Sea Moon was another that probably should have took the St Leger, having won the Great Voltigeur. His victory at York was stunning, and he was made favourite for the season’s final Classic. He endured a nightmare passage through the race, and when finally getting a clear run, finished to great effect, but all too late to win. Despite several going close, John Gosden’s Lucarno was the last to complete the Voltigeur - St Leger double back in 2007. He stayed on strongly at Doncaster, to beat a Ballydoyle battalion. It seems an obvious thing to say, but St Leger winners need to see out the trip strongly. York and Doncaster have long straights, and horses can become embroiled in a protracted battle. One of the great winners of the St Leger, was Ballydoyle’s Milan. Another powerful stayer, he’d lacked the ‘zip’ in the King Edward VII Stakes at Royal Ascot, but found York and Doncaster to his liking. He stormed clear late-on at Donny to win the Classic by five lengths. Dropped in trip for the Arc, again his lack of speed proved vital, and though he stayed on steadily from the turn, he could only manage a fifth-place finish. Postponed took the Voltigeur in 2014, but was not thought to have the necessary stamina for Doncaster. He returned to York two years later and captured the Juddmonte International, the highlight of the opening day of the Ebor Meeting. The prestigious and incredibly valuable showpiece, has been won by numerous high-class colts. Frankel and Sea The Stars are the outstanding pair in recent times to land the prize. 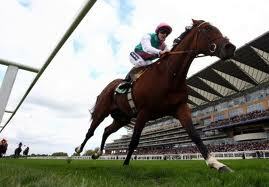 Frankel’s demolition of a high-class field was arguably his most thrilling success. His first attempt at the 1m2f trip, and yet he cruised past the opposition, destroying Group One winners Farhh, St Nicholas Abbey and Twice Over. Sea The Stars took in the Juddmonte during a devastating three-year-old campaign, where the superstar colt swept all before him. He certainly didn’t have it all his own way at York, when having to lower the course record to see-off Ballydoyle’s Mastercraftsman. Aidan O’Brien’s three-year-old had won the St James’s Palace at Royal Ascot, and proved a worthy adversary. Sea The Stars went on to win the Irish Champion Stakes before landing the Arc at Longchamp. The Yorkshire Oaks headlines on day two, and we could see a potential great in this year’s renewal, with Enable a likely starter. Khalid Abdullah won the race with the sensational Midday back in 2010, and this filly looks every bit as good. Three times the winner of the Nassau Stakes, the Sir Henry Cecil trained heroine was a class act, though Enable has the potential to reach even greater heights. Peeping Fawn was another terrific winner of the Yorkshire Oaks, when storming to a four-length success in 2007. Like Enable, she’d won the Irish Oaks on-route to this, though had also captured the Nassau, rather than take on the boys in the King George. Another filly who proved good enough to beat the colts, was 2013 Yorkshire Oaks winner The Fugue. Like Enable, she was trained by John Gosden, and having won this race during her four-year-old campaign, travelled to Ireland to win the Irish Champion Stakes. She was sensational on quick ground, and as a five-year-old set a course record when winning the Prince Of Wales’s at Royal Ascot. Expect fireworks in the Nunthorpe on day three of the meeting. Mecca’s Angel beat Limato in last year’s renewal, and we have another ‘super-filly’ entered this time around, with Lady Aurelia hoping to add this to her sensational King’s Stand success in June. The Nunthorpe roll of honour is crammed full of sprinting stars. York’s five-furlongs is a quick one, and in recent times few were faster than Sole Power. Ed Lynam’s ‘pocket-rocket’ was often delivered late, with devastating effect. He beat Starspangledbanner to win as a three-year-old in 2010, and then had to wait until 2014 to capture the prestigious sprint as a seven-year-old. On fast ground he was mustard. Oasis Dream was one of the best, and took the Nunthorpe in stunning fashion back in 2003. He almost lowered Dayjur’s track record, despite being eased down late-on. Dayjur is thought by many to be the greatest sprinter of them all. He had a stunning three-year-old campaign, capturing York’s showpiece during a season of complete sprinting dominance. The Temple Stakes, the King’s Stand and the Prix de l’Abbaye were captured before his final run in America. In sight of victory in the Breeders’ Cup Sprint, he leapt a shadow nearing the post, and lost out by a neck. It’s sure to be a week to remember, with the hugely competitive Ebor Handicap taking place on the final day. Sadly, I can only get to York for the Juddmonte, but undoubtedly will enjoy another thrilling day at one of the UK’s greatest tracks. Racing at the Knavesmire dates back to 1731, though horses raced in and around York some 2,000 years ago thanks to those ingenious Romans. Today one of the greatest tracks in the UK host their three day Dante Meeting, renowned for its quality, and knack of producing future Classic winners. Just a year ago the Musidora Stakes went to Star of Seville before she travelled over the Channel to take the French Oaks. Golden Horn was also at York, winning the Dante Stakes before landing the Derby in stunning fashion. Over the years the Dante has played a major part in many glorious campaigns. Shirley Heights took the race in 1978 before two dramatic victories in the Irish and English Derby’s. Reference Point was another cracking racehorse that won the Dante, his victory coming in 1987. It was the start of a stunning summer campaign that saw him take the Derby, the King George VI & Queen Elizabeth Stakes, the Great Voltigeur and the St Leger. Other famous Dante winners include; Sakhee, North Light, Motivator and Authorized. All went on to become exceptional middle-distance racehorses. It’s fair to say that this three-day meeting is often a springboard to greater achievements for both colts and fillies. One such horse with the potential to take high order is the beautifully bred Derby contender, Midterm. Owned by Khalid Abdullah and carrying the famous silks of the mighty Juddmonte operation, the colt is by Galileo out of the exceptional mare Midday. He’s only had two career outings thus far, with his last run coming at Sandown over 10 furlongs. He was made to work for the victory that day, but the way he knuckled down to the task was eye-catching, having travelled stylishly through the race. There are 12 runners in Thursday’s Dante, and it looks a tasty renewal. Foundation runs for John Gosden, and is another with huge potential. He’s a stunning colt to look at, and if the ground remains quick he could put in a huge performance. Midterm may or may not prove to be something special for the Juddmonte team, but he is certainly not the only horse to have caught the eye this spring for the powerful connections. Sir Michael Stoute is renowned for his ability in finding improvement in racehorses that stay in training. Exosphere looks to be another that’s made a huge leap from three to four. His reappearance in a Group 2 at Newmarket was quite spectacular, when thrashing dual Group 1 and St Leger heroine Simple Verse. He looks more than capable of landing further valuable contests at a mile and a half during the summer, and could well be one for the Hardwicke Stakes at Royal Ascot. Swiss Range is another that could make an impact at a high level. The three-year-old filly romped home in the Listed Pretty Polly Stakes at Newmarket last time. She possesses a stunning change of gear, and though far stiffer tasks lie ahead she could prove to be a special filly. The French Oaks at Chantilly was mentioned as a likely target, though Royal Ascot will also come under consideration. There’s every chance that the Juddmonte International in August will prove tempting, with trip and track likely to suit. Khalid Abdullah, who sponsors the race, took the event in 2011 and 2012 thanks to Twice Over and the mighty Frankel. However, Swiss Range isn’t the only Juddmonte filly to have caught the eye this spring. Though still a maiden after three starts, Moorside was last seen at Chester chasing home one of Aidan O’Brien’s Oaks prospects, Somehow. Trained by Charlie Hills, Moorside is a gorgeous filly with plenty of size and scope. She’s instantly spotted in the pack with a striking white face and a huge raking stride. Chester’s tight bends would not have been ideal, and she still looked a little green when being run down late on by O’Brien’s filly. The Ribblesdale at Royal Ascot looks a sensible option, and I think she could be a cracker. With Time Test and New Bay yet to return to action, Team Juddmonte look set to play a major role in middle distance events throughout the summer. In recent years the likes of Flintshire, Noble Mission and, to a lesser extent, Snow Sky have all landed valuable prizes. Along with Kingman and Frankel, Khalid Abdullah has had a thrilling spell at the head of affairs, and the potential is certainly there for that to continue for some time to come. There’ll be plenty of interest in Newbury’s race card on Saturday with the Group 2 Betfred Hungerford Stakes and the Group 3 Betfred Geoffrey Freer the highlights. York’s Ebor meeting is also on the horizon with the potential clash of the summer between Gleneagles and Golden Horn. However, for today’s piece I’d like to focus on action in France. Just a week ago Muhaarar was thrilling fans over the channel at Deauville when winning the Prix Maurice de Gheest. Without doubt the summer’s number one sprinter looks to have earned himself a break, before a likely return in October’s Champions Day meeting at Ascot. This weekend the French track hosts more high-class action, with a three day meeting which includes the Group 1 Prix Jacques Le Marois on Sunday. Andre Fabre’s Territories is a short priced favourite in an international field which could include Toormore and Estidhkaar. On Saturday attention turns to the potential French stars of the middle-distance. We are likely to see movement in the Arc market as Andre Fabre’s New Bay takes on his stable companion Ampere. Beaten in the French Guineas when probably given a little too much to do, New Bay then swept passed the whole field to win the Prix Du Jockey Club at the end of May. A clash with Golden Horn in the Coral-Eclipse appeared on the cards, but Fabre feared a trip in the heat and the quick ground at Sandown would prove to be against his colt. Both trainer and owner have a strong record in the Arc, though their last success together was back in 2006 with Rail Link. Khalid Abdullah has won the race twice in the last nine years. Workforce, trained by Sir Michael Stoute, took the event in 2010. Tomorrow’s event looks to have enough quality to test New Bay’s credentials as a serious Arc prospect. His main challenge is likely to come from stable companion Ampere. 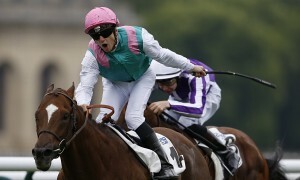 He was beaten by the impressive Erupt in last month’s Juddmonte Grand Prix de Paris. He didn’t get the clearest of runs that day, and though the winner did it well, Ampere remains very lightly raced and open to plenty of improvement. Storm The Stars was back in third that day, and he sets a decent standard. Dariyan has also seen the back-end of Erupt this summer, when fourth in the Group 3 Prix du Lys Longines at Chantilly. He has since taken a Group 2 at Maisons-Laffitte, giving the form some credence. The Aga Khan’s colt is not without a chance on Saturday, but should find Fabre’s pair a little too classy. Treve remains the favourite for the Arc in October with the aforementioned Erupt the other leading French challenger. With Golden Horn’s participation questionable, a strong performance from one of Fabre’s colts tomorrow should see them take high order in the market for Europe’s leading middle-distance event. Taghrooda stormed to victory last year and Novellist won in similarly stunning fashion a year earlier. 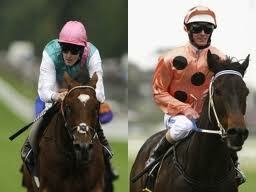 The King George VI and Queen Elizabeth Stakes was first run in 1951 and has gone to some of the greats of the sport. In a magical period during the 1970’s the illustrious roll of honour included Nijinsky, Mill Reef, Brigadier Gerard, Grundy, The Minstrel and Troy. Shergar, Dancing Brave and Nashwan took the race in the 80’s. In the 1990’s Lammtarra, Swain and Daylami played starring roles, and in more recent times Montjeu, Galileo, Hurricane Run, Dylan Thomas and Danedream added their names to the dazzling winners list. For many, the King George and the Arc remain the most prestigious middle-distance events of the Flat racing calendar. Winners from France, Germany, Ireland and the UK give the event an international feel which only adds to its lofty reputation. Spice is further added to the mix with the opportunity of seeing the season’s top three-year-olds again taking on their elders. Four-year-olds have the upper hand in recent years though two of the last four renewals have gone to the youngsters. This Saturday’s running is set to be as thrilling as ever, with the Derby winner Golden Horn again stepping into the arena. His stunning victory in last month’s Coral-Eclipse sent his BHA rating into the stratosphere. He remains undefeated, and the style of those victories has been truly eye-catching. He had to battle hard to win the Eclipse, but showed he possesses the resilience to go with his undoubted class. At the weekend he will face challengers from Italy, France and the UK. 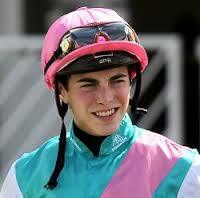 Stefano Botti is set to send Dylan Mouth over from Italy. Ribot became the only Italian winner of the race when thrashing the opposition in 1956. Twice a winner of the Arc, he remained undefeated in 16 career starts and is rated by many as one of the all-time greats. It’s set to be another glorious renewal of one of the sport’s greatest races. History tells us that class usually shines through in this Ascot showpiece. It would come as a major surprise if Saturday’s race proved an exception to this ‘Golden’ rule. He may have started the season rather slowly but expect a change of gear when Sir Michael Stoute and his team arrive at Royal Ascot next week. With four winners at last year’s royal meeting and three in 2013, the great man had one of his finest training moments when saddling the Queen’s horse Estimate to take the 2013 Gold Cup. Born in Barbados soon after the end of the Second World War, he arrived in the UK in 1964 at the age of 19. He began training on his own in 1972 and has tasted success throughout the globe. A multiple winner of the Classics, he has been Champion Trainer ten times. 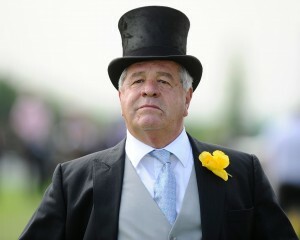 Sir Michael Stoute is undoubtedly Flat racing royalty. It’s fair to say that Freemason Lodge Stables have a habit of producing high-class middle distance performers. Over the years Stoute has sent out some of the greats at around a mile and a half, including such stars as Shergar, Singspiel, Pilsudski, Kalanisi, North Light, Harbinger and Workforce. It’s a dazzling list of names and last June’s Royal Ascot winners went some way to confirming this particular niche of success. Arab Spring took the Duke of Edinburgh Stakes in taking fashion and has already stepped up a level this spring by winning the Group 3 John Porter Stakes. Cannock Chase was an impressive winner of the Group 3 Tercentenary Stakes 12 months ago, and though he’s tasted defeat in his two outings this term, he still looks a horse worth following. He has won or been placed in all six career starts. The headliner last June was undoubtedly Telescope, when he stormed to victory in the Group 2 Hardwicke Stakes. At his very best on a sound surface, he is yet to capture that elusive Group 1, though it took a stunning performance from the wonderful filly Taghrooda to deny him in last year’s King George. All three are set to run next week, with Telescope the most fancied of Sir Michael’s runners. He will take some beating in the Hardwicke, though the trainer could have several others in the race. The aforementioned Arab Spring is entered, as are Hillstar, Gospel Choir and Snow Sky. All are established Group performers and more than capable of running into a place. Cannock Chase looks likely to contest the Prince of Wales’s Stakes, though he’ll need an exceptional performance to take a hand in what looks a strong renewal. It’s not a race that Stoute has a particularly great record in, though he did take it in 1991 with Stagecraft and in ’81 with Hard Fought. The trainer does have another short-priced favourite for the meeting in his classy mare Integral. She looks set to take her place in the Duke of Cambridge Stakes, a race she won last year. She will carry a penalty, but does look the most likely winner. She couldn’t quite cope with the colts in the Lockinge last time, and this looks the sensible option. Stoute will be double-handed in the event with Khalid Abdullah’s Bragging set to take her chance. She took the Group 2 Dahlia Stakes in May, but then disappointed at York when stepped-up in trip. Top Irish jockey Pat Smullen takes the ride. Consort is another notable runner for the Newmarket trainer, and is fancied to run a huge race in the St James’s Palace Stakes. Not quite ready in time for a tilt at the Guineas, he was impressive against lesser opposition at Sandown a few weeks back. Coming off a strong pace could really suit this son of Lope De Vega, and though he’ll do well to beat the likes of Gleneagles and Make Believe, he should be storming home at the finish. There could be others capable of enhancing Stoute’s Royal Ascot record. Dissolution is interesting in the King Edward VII Stakes, a race the trainer took with Hillstar in 2013. The son of New Approach is out of a Kingmambo mare and could well improve for this step up in trip. If Sympathy was to take up her entry in the Coronation Stakes, it would surely be some statement from the trainer. She has yet to run this season and has only had two career starts. You could certainly assume that she’s been showing plenty at home. Once again Sir Michael Stoute’s team looks a strong one. Nothing would give him greater pleasure than to have another stunning Royal Ascot. I certainly wouldn’t bet against it. New Bay swept to victory in the Prix Du Jockey Club at Chantilly, making this a spring to remember for trainer Andre Fabre. He now has three outstanding colts capable of winning major prizes throughout the summer, having already taken the French Guineas with Make Believe and saddled the runner-up in the 2,000 Guineas at Newmarket with Territories. New Bay had shown great promise when second to his stable companion in the Guineas at Longchamp earlier in the month. This step-up in trip appeared to suit as he powered from virtual last to first in the home straight. Aiden O’Brien’s Highland Reel showed great improvement to come home second. For the winning handler, this was another wonderful victory at his local track. Andre Fabre is based at Chantilly and has been one of Europe’s outstanding trainers for more than 30 years. He was born in Spain, the son of a diplomat, and started his career in racing as a jump jockey, winning more than 250 races including the Grand Steeplechase de Paris in 1977. In the same year he obtained his training licence and soon established himself as a dominant force in French jump racing. Fabre also enjoyed success with a small string on the flat, notably in 1982 when winning the Group 1 Prix d’Ispahan with Al Nasr. In 1983 Andre Fabre’s training career stepped up a level when the Rothschild family chose him to take over the care of their Flat horses following the death of legendary handler Francois Mathet. The success that followed caught the attention of Sheikh Mohammed, one of the driving forces behind the Godolphin operation. The pair began one of the great partnerships that would bring a host of major victories. Soviet Star set the ball rolling when winning the Prix de la Foret in 1987. It was the year that Fabre took his first French trainers' crown, a title he would win for 21 consecutive years until 2007. The son of Nureyev also made successful raids to Britain, winning the Sussex Stakes at Glorious Goodwood and the following year taking the Group One Darley July Cup at Newmarket. He then defeated the superstar filly Miesque to win the Prix du Moulin at Longchamp. Whilst Soviet Star rattled off Group 1’s in Britain and France, Fabre was also training Mill Native to win the Arlington Million at Woodbine. Now very much an international success, the flow of major prizes in Europe and the States continued through the late 80’s into the 90’s. Fabre and Sheikh Mohammed were at it again when In The Wings took the Coronation Cup at Epsom, the Grand Prix de Saint-Cloud and then the Breeders’ Cup Turf in America during a stunning campaign in 1990. Subotica became the next star for Fabre and his team. Second to Suave Dancer in the Prix du Jockey Club of 1991, he then took the Grand Prix de Paris and the Prix Niel before illness caused him to miss the Arc. However, just 12 months later he returned to Longchamp to take Europe’s greatest middle-distance event. Zafonic became another stable hero when ridden by Pat Eddery to take the 2,000 Guineas at Newmarket in 1993 for owner Khalid Abdullah. In a sensational 1994 Fabre appeared to win virtually every Group race going, concluding the year with wins for Pennekamp in the Dewhurst Stakes, Carnegie in the Arc and Raintrap travelling to America to take the Rothmans International. Pennekamp returned to Britain the following spring for a scintillating victory over Celtic Swing in the 2,000 Guineas. The likes of Swain, Peintre Celebre and Sagamix continued the French trainer’s monopoly of major prizes, though the former moved to Godolphin. Dansili, Valixir, Hurricane Run and Shirocco are just several of the stars that have shone for the great French trainer in relatively recent times. In 2008 Sheikh Mohammed purchased Fabre’s main yard in Chantilly and became the principal owner in the process. The following year the trainer sent out his first runner in the beige silks of Godolphin France, when Mojave Moon came second in the Group Two Darley Prix Kergorlay at Deauville. Cavalryman had already won the Grand Prix de Paris before becoming Andre Fabre’s first winner for Godolphin, when scoring in the Group 2 Prix Niel at Longchamp in 2009. The colt then ran a terrific race the following month to take third in the Qatar Prix de l’Arc de Triomphe behind the mighty Sea The Stars. Fabre registered a 22nd French trainers’ championship in 2010, and gained a 23rd in 2011, the year he finally trained the Epsom Derby winner when Pour Moi swooped late for success under a famous ride from the young Mickael Barzalona. Miss France brought further British success when winning the 1,000 Guineas in 2014, whilst Flintshire struck on the World stage when taking the Hong Kong Vase. This latest classic, adding to the earlier impressive French 2000 Guineas success of Make Believe, confirms that Fabre’s dominance shows no sign of waning. No doubt a raid on Royal Ascot is next on the agenda, with the St James's Palace Stakes high on the list. It’s possible that both Make Believe and Territories could travel over to take on O’Brien’s Gleneagles. One thing is for sure; France’s leading trainer is set for another sensational season, taking many of the major prizes along the way. Frankel and Caviar – is it a date? https://www.geegeez.co.uk/wp-content/uploads/2018/09/geegeez_banner_new_300x100.png 0 0 IanS https://www.geegeez.co.uk/wp-content/uploads/2018/09/geegeez_banner_new_300x100.png IanS2012-10-24 09:14:072012-10-24 09:14:07Frankel and Caviar - is it a date?